But has it been canned for good? Android Silver, Google's initiative for a less customisable version of its mobile operating system, has apparently been abandoned due to device manufacturers showing little interest in a more restricted version of Android. The versatility of Android is a large part of its success and a reason why we see it on a diverse array of devices from smartphones and tablets to smartwatches and TVs. Android Silver was Google's attempt to encourage manufacturers of Android devices to move away from the more open Android and instead use the less customisable version instead. 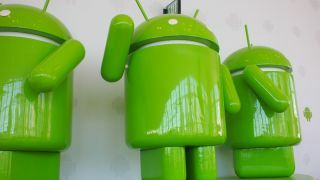 Google's stated desire for boosting the adoption of a more closed version of Android was to help app developers. Instead of having to create different versions of the app to ensure compatibility across the various versions of Android, developers would only need to create one that fits all. This is a similar approach to the one Apple has taken with its mobile operating system iOS, and while some app developers will appreciate the move, device manufacturers have been more resistant. According to a report by recode.net device manufacturers did not warm to Android Silver because they did not want to share branding with Google, preferring to use their own branded Android user interfaces with the fully customisable version. The device makers were also hesitant to use a version of Android that customers might deem 'cut back' or restricted in comparison with competitors. The reveal of Android Silver and why it was abandoned comes at a time when Google is rolling out the latest version, Android Lollipop, on a huge range of devices. Though Android Silver has been shelved for the time being, Google is reportedly still looking at ways to cut back on the ways hardware manufacturers can customise Android, as evidenced by the first Android Wear devices such as the LG G Watch R which have had limited customisation options.